With the riding season fast approaching you may have noticed your old battery struggling a little bit after the cold, harsh winter without regular use. 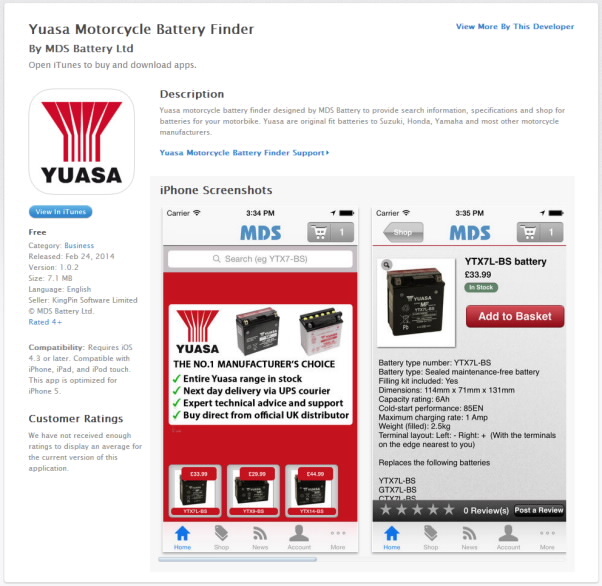 It’s not always easy choosing the right battery for your bike but Yuasa supplier MDS Battery have come up with an answer in the form of their new iPhone app to help their customers choose the right Yuasa battery for their machine. 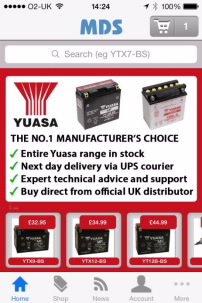 The app is free to download and use and is packed with information on the Yuasa range of motorcycle batteries, including dimensions, power ratings and performance data. 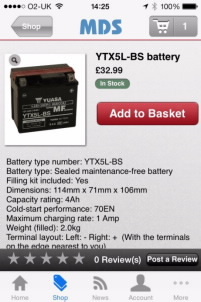 It’s also possible to purchase your new battery directly through the app with the inbuilt store making for easy ordering. An Android and iPad version are on the way too and will be released shortly.